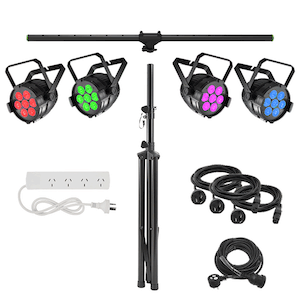 You could use this party light hire pack to simply add a static wash of colour, or map out an interesting chase sequence. Either way, because it's LED, the power draw will be easy to manage and the package is a cinch to set up. Of course, we are always on hand to help you out with mapping the sequencing, or any other advice you may need!